For all information on local governance arrangements please visit individual academy websites. Click here to view our schools. 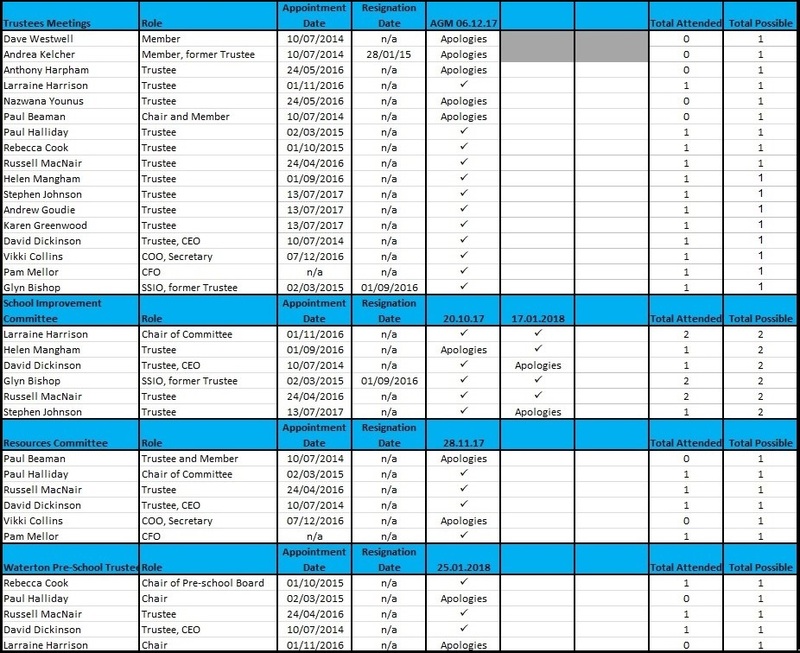 The Directors of Waterton Academy Trust commissioned a review of Governance by the NGA which took place during the academic year 17/18. This was a full 360 degree evaluation of our structures, systems and procedures. The review recommendations led to the restructure of governance which has now been implemented. The new structure proposes the introduction of a new level of Governance, designed to guide the development of growth through localised hubs within the Yorkshire region. The MAT is a charitable company and so trustees are both charity trustees (within the terms of section 177(1) of the Charities Act 2011) and company directors. Because trustees are bound by both charity and company law, the terms ‘trustees’ and ‘directors’ are often used interchangeably. 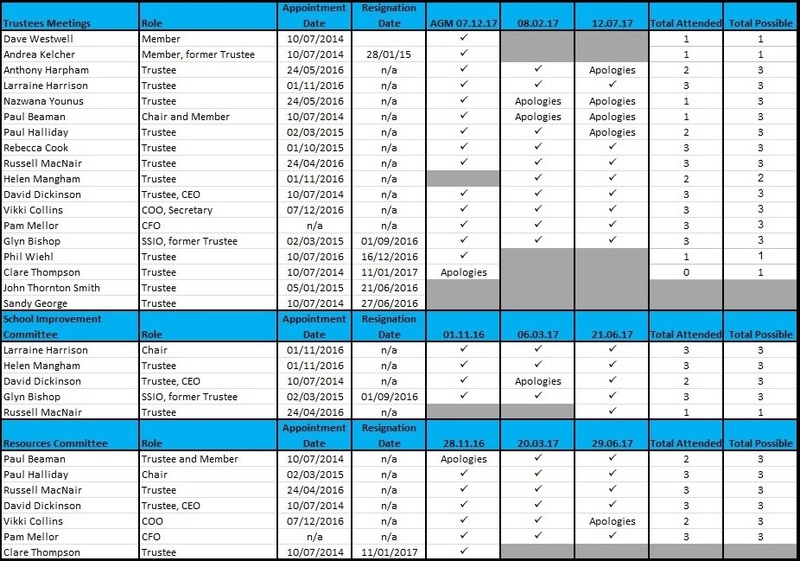 Waterton Academy Trust will use the term trustee when referring to Trust Board members, governors when referring to LHB and ASC members and Officers when referring to the trust executive team. The TB has the right to review and adapt its governance structure at any time which includes removing delegation. The trustees may establish committees to carry out some of its local area and academy level governance functions. 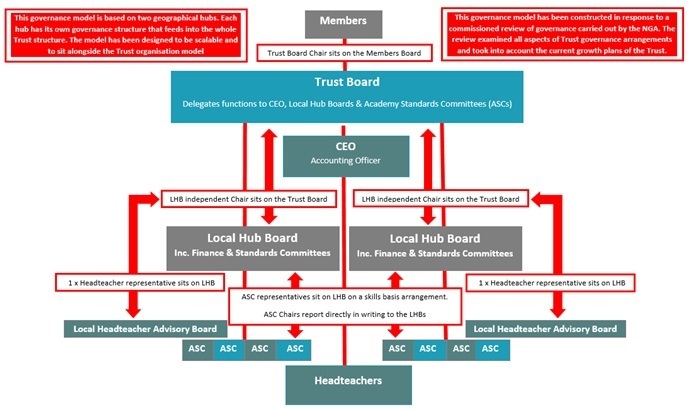 As trustees are not required to sit on hub committees, decision-making is delegated. Trustees will appoint the chair. The trustees may establish ASCs to carry out some of its academy level functions. Trustees are not required to sit on ASCs. The Local Hub Board will appoint the chair, and ensure that two parents are elected to the ASC.